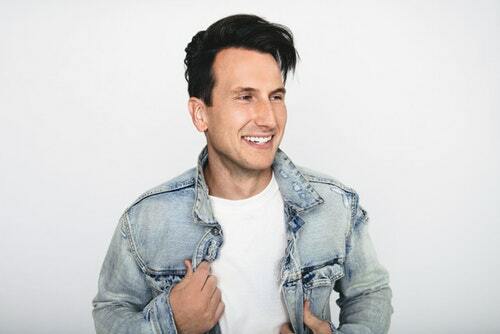 Russell Dickerson rose to popularity within the UK country scene after a stellar headling performance at Nashville Meets London last year. 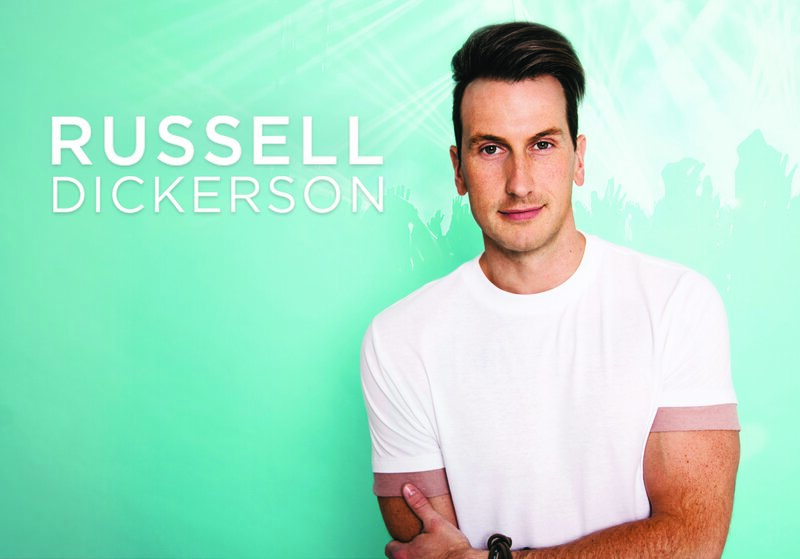 Since his headline slot, Russell has released his first major label album titled Yours and returned to the UK during C2C Festival where he not only played inside the O2 Arena on the satellite stage, but also played over various stages across the weekend. 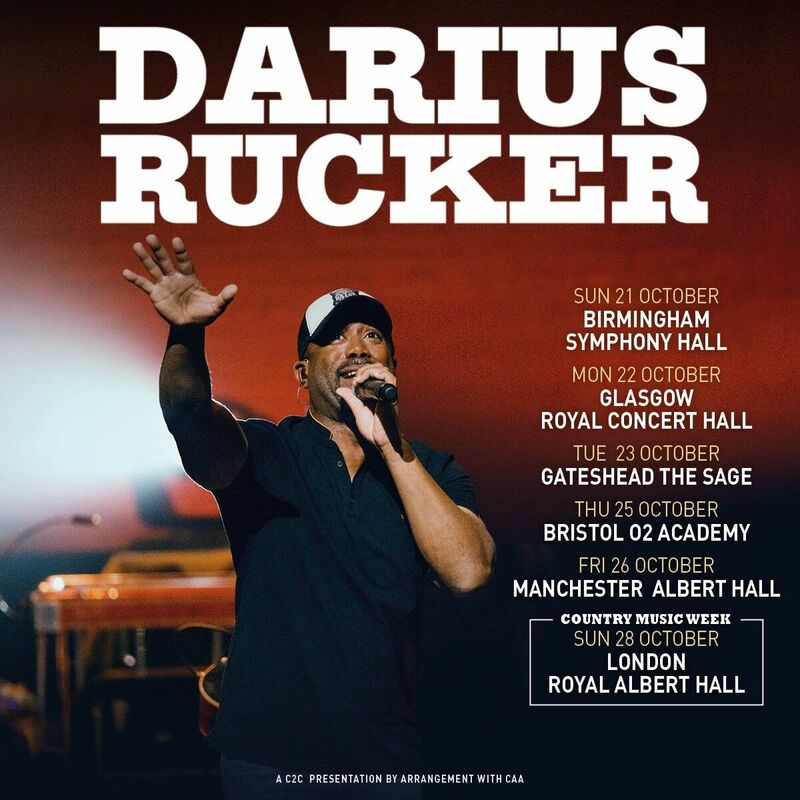 Russell’s keen and ever growing fanbase in the UK secured him a return trip to the UK this october where he will embark on a UK tour with Darius Rucker which includes a dream venue performance at The Royal Albert Hall. 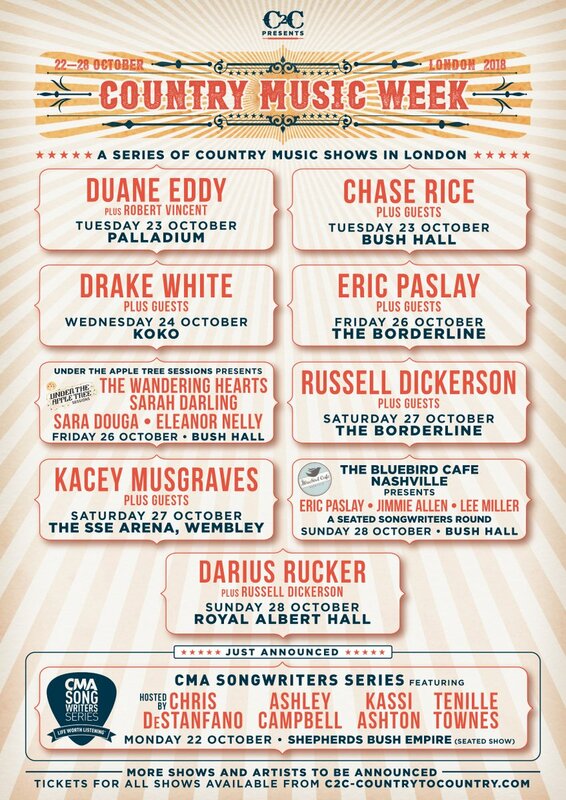 As well as supporting Darius Rucker on tour, Russell will be playing a headline show at The Borderline in London as part of the annual Country Music Week. We caught up with Russell to discuss his UK trip, his label success and more. Hi Russell how are you? Not too bad. We have been good one, had a couple of days at home too. You have been out on the road a lot lately? Yes oh my gosh always. How has it been with Lady A and Darius ? Yeah it has been great. Their sets are just hit after hit after hit and it’s definitely very inspiring for sure. How have their audiences been for you? They have been a little chilled but by the time we are done they are all into it and ready to go. Your first UK show was headlining Nashville Meets London – how was that experience for you? Oh yeah. That was like my first time headlining a festival. Ever, oh yeah. It was like one of the first times that we got to play a full set in front of a full crowd and that was definitely one that I will remember for sure. The fact people knew my music and not just the singles but all the songs. To be on that stage and look out at the O2 Arena and see all the people who love country music in the UK was pretty special. I saw the opportunity to make as many fans as possible. That crowd was just amazing. Yes and you had the whole of the O2 Arena singing along with your music, that’s almost 20,000 people. In London, singing a song that I wrote in a little crappy apartment in Nashville to a sold out O2 Arena crowd that was unbelievable. You also had a full crowd at every show you did across the weekend. Yeah. That is why I love coming to the UK. People know the music, they want to see us so every time we come over it exceeds my expectations like crazy. You will be back in October for Country Music Week and to support Darius Rucker on his tour and you will be playing the Royal Albert Hall. Oh yeah haha. Oh my gosh, I mean that is just mind blowing. I honestly didn’t expect to be coming over this soon. I had hoped that we would so yeah, we are going to be out on tour with Darius Rucker and we are going to be playing The Royal Albert Hall, like oh my gosh, it is a jaw dropping moment. It is such a beautiful venue, Kacey Musgraves described The Royal Albert Hall like playing inside a giant cake. As well as supporting Darius you will be doing a headline show at The Borderline for Country Music Week which is also a nice venue. What can we expect from the show? Will you be bringing a full band with you? Oh we are doing a full band yeah. We will be bringing the full band over and that is going to be a rocking evening for sure. The fact that we get to do our own show in addition to the other shows is a testament to the country music fans in the UK. It so huge. It will be a good week. Do you have anything in particular that you have to have on your Ryder? We like to try a local beer somewhere. All the band guys love to try different beers and stuff. Me and my wife are wine people so we like to sample the areas favourite wines. Anything like that. We try to keep it healthy as well because unhealthy foods gets a little old. Yeah. We kind of wanted to do a fun twist on a pretty basic video on what the song is talking about. My wife co directed it with her brother who has done stuff for Kanye West, Black Eyed Peas, so he is the real deal. We rented a Blue Tacoma and got take a road trip up and down the coast and it just turned into this magical little video that we captured. How did you come up with the idea for the song? It started with a co writer. The guy she was dating had a tacoma. We wrote it as a hypothetical story of “One day we can take a road trip through California” that would be awesome and that was the vibe. Then my wife and I ended up there for a wedding, it was actually the wedding of my wifes brother who shot the video. We were out there and got to drive to L.A , Santa Barbara and so on and it was the most magical drive ever so we had to re write the song because it wasn’t capturing the magic of the road trip. So we went back and re wrote it and that was kind of the “aha” moment of the song. Tell us about going from being an independent artist to a label artist and how that came to be? How was life as an independent artist in comparison? I wouldn’t trade how we started out for anything in the world. It taught me perseverance and how to do a lot of things in the industry. I would advise anyone to stay independent for as long as they can – that is the advice I got from friends of mine, Florida Georgia Line, Thomas Rhett . So we did, we stayed as independent as possible for as long as possible and once you start having a little bit of success, people start coming round to help you. I met the head of my label and went to dinner and he was saying that we have to take this thing to the next level such as radio and they had this different structure in place so that was a big step for me. In America radio is still a huge industry validation point with how many hits you have on the radio and so on and that determines this and that and the next and the next so that was a necessary thing I needed. Less than two years of being signed to a label and all this has happened so I think we made the right decision. Definitely. When putting the album together, did you have a lot of songs considered for the album and if so, how do you decide what makes the cut? I love songwriting and the creation process, we had a ton ready. I had four or five years worth of songs to pick from but it was pretty obvious to everyone, it was unanimous on the songs that should be on the album. We took about an hour and a half meeting with the whole team, listening to songs and it was honestly kind of unanimous but there were definitely some songs that didn’t make it that I am excited to put on record two and not because they weren’t as good it was just that slot, that vibe had already been filled by another song. Hahahaha. It is a Drake song, it was the number one song on the billboard charts. It all started from this viral video, that first line he says “Keke do you love me?” And I find myself throughout the day just shouting “KeKe” haha. I tweeted it because I was like “I wonder if anyone else does this”. Everyone retweeted it and were like “Oh my gosh, yes”. It was funny for me as my two year old says Keke for Biscuit so he does randomly shout Keke but for different reasons haha. Oh my gosh haha! KeKe. KeKe Haha. Thank you so much for chatting today, we are so excited for October and you are going to have a blast and please keep coming over to the UK as much as you can. Oh absolutely, we love it over there. The UK are the most dedicated fans and we are so pumped up to come over. Alright, thank you so much for your time.